Many enquiries into the state of accounting education/training, undertaken in several countries over the past 40 years, have warned that it must change if it is to be made more relevant to students, to the accounting profession, and to stakeholders in the wider community. This book’s over-riding aim is to provide a comprehensive and authoritative source of reference which defines the domain of accounting education/training, and which provides a critical overview of the state of this domain (including emerging and cutting edge issues) as a foundation for facilitating improved accounting education/training scholarship and research in order to enhance the educational base of accounting practice. The Routledge Companion to Accounting Education highlights the key drivers of change - whether in the field of practice on the one hand (e.g. increased regulation, globalisation, risk, and complexity), or from developments in the academy on the other (e.g. pressures to embed technology within the classroom, or to meet accreditation criteria) on the other. Thirty chapters, written by leading scholars from around the world, are grouped into seven themed sections which focus on different facets of their respective themes – including student, curriculum, pedagogic, and assessment considerations. Richard M S Wilson is Professor of Business Administration & Financial Management (Emeritus) at Loughborough University, U.K. For more than 40 years he has actively engaged in accounting education/training policy-making on both a domestic and international basis. He is the founding editor of Accounting Education: an international journal, a member of the BAFA’s Hall of Fame, an Academician of the Academy of Social Sciences, and holds a Lifetime Achievement Award specifically for his contribution to accounting education/training. Of impressive scope and depth, this anthology comprises thirty chapters written by sixty-seven scholars from twenty-four countries. It addresses seven critical ‘considerations’, including those deemed to be ‘cornerstone’, ‘contextual’, and ‘institutional’ to the field; and those pertaining to students, curriculum, pedagogy, and assessment. I warmly commend this meritorious work to all who are interested and involved in accounting education. 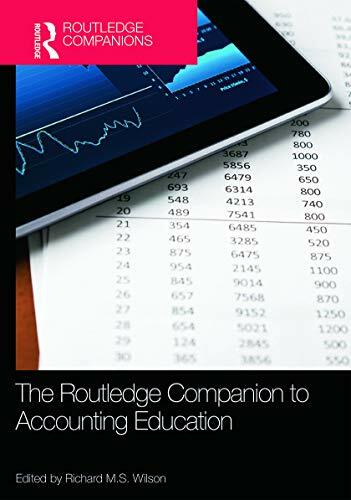 This is a welcome and authoritative anthology of significant contributions from the leading accounting education academics across the globe. It provides a valuable reference point for established and upcoming researchers with a comprehensive coverage of every topic worthy of consideration.